Phyllostachys aurea is a lovely evergreen bamboo with bright green stems that mature to golden yellow when grown in full sun. Thin mid-green leaves up to 18cm long create a good screen, but equally make a lovely feature in themselves. When a breeze passes through the leaves, it sounds like flowing water and it was often used in Japanese gardening for this relaxing sound effect. 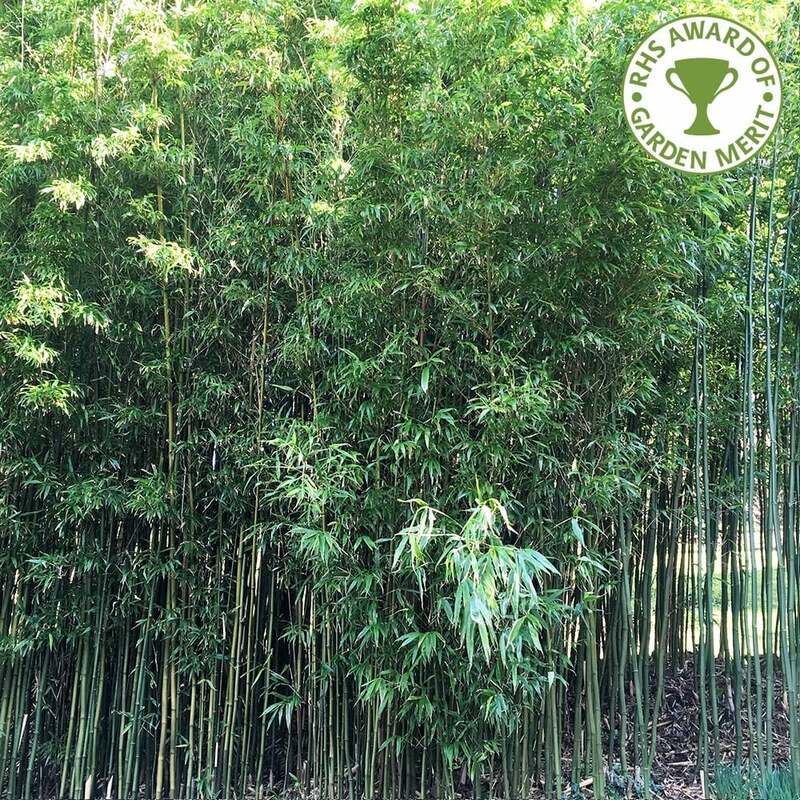 Planted in moist soil, this clump forming Bamboo will grow to 3 x 2 meters in 20 years. Our pot grown Golden Bamboo plants can be planted at any time of the year. Prepare your planting site by removing all weeds and grass within a metre of your desired planting hole. Dig a square hole as deep as your root mass and approximately 2x as wide. We recommend lining the hole if you want to prevent the Bamboo from spreading. To help the Bamboo establish more effectively, we advise sprinkling root grow in the hole, especially if you have poor soil. Golden Bamboo plants are very low maintenance. They simply need tidying up in spring by cutting weak or damaged canes down to ground level using secateurs.